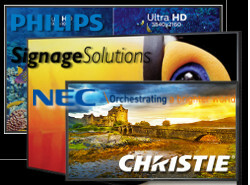 Pro AV Solutions from Newtek. From corporate AV to education, live events to houses of worship, NewTek products with native NDI offer limitless possibilities. Facilis Shared Storage version 7.1 showcased for the first time at NAB 2018 at booth SL7920. The new version builds on the revolutionary version 7.0 which included an all new web console interface and shared file system enhancements. Source: G-Technology – G-Technology Go Fast. Save Time. Why Buy from VidCom? Shared Storage for the Professional Video world! Whether it’s SD, HD, 2K, UHDTV-1 or full 4K,; multi-channel, multi-codec Cinedeck recorder / players provide all the flexibility you need.